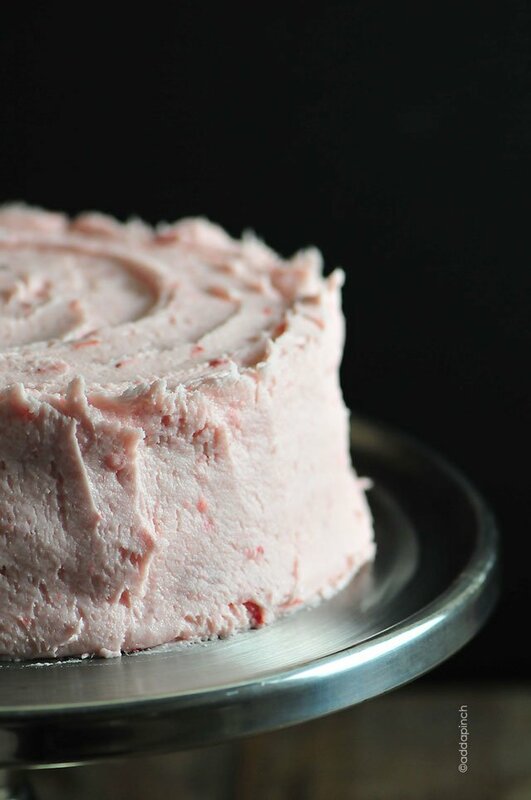 Strawberry Buttercream has to be one of my family’s favorite flavors of frosting. How could it not be since we are all about strawberry everything! 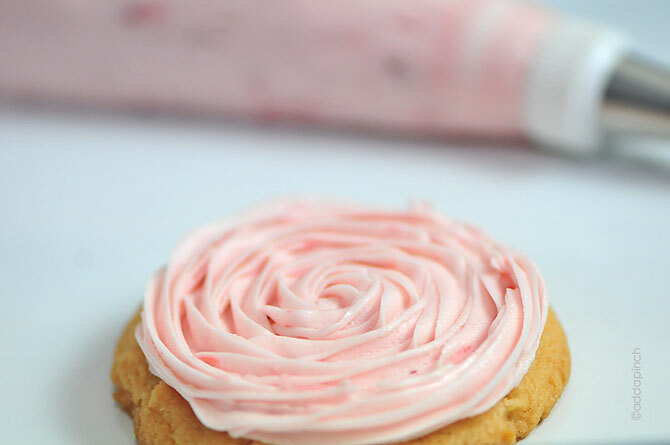 Perfect for spring and summer, this strawberry buttercream frosting is so delicious on so many baked goods it will quickly become one of your favorites, too! Promise. Well, if you like strawberries, that is. 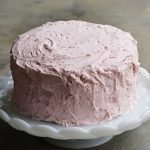 This past weekend, I whipped up a batch of this strawberry buttercream frosting to use on my niece’s cake for her graduation party. It was by her request when I asked her what kind of cake she wanted for her party. 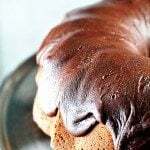 This delicious buttercream works perfectly on so many baked goods from cakes and cupcakes to topping cookies or just smooshing between two vanilla wafers if you are in a hurry. 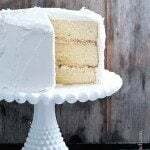 I do have a few tricks to make your buttercream frosting light and fluffy and bakery perfect look! To make my strawberry buttercream frosting, you’ll want to be sure to follow the instructions of adding the confectioner’s sugar 1/2 cup at a time and then turning your mixer onto a high speed for the fluffiest of frostings. 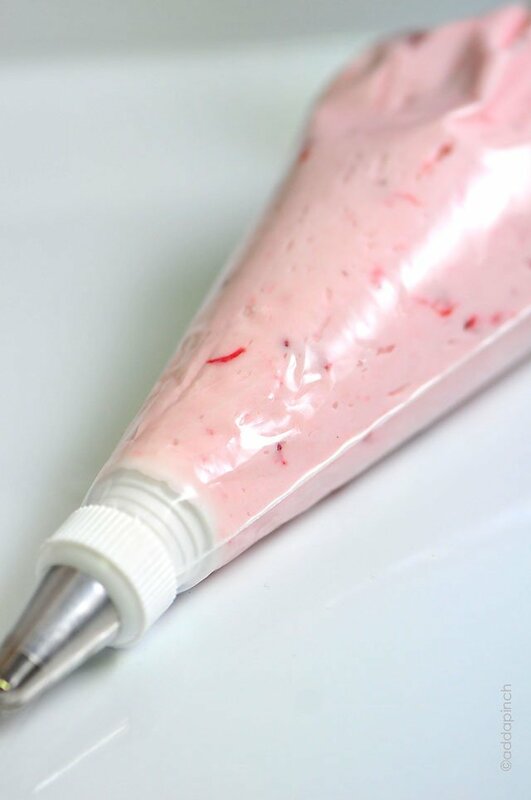 Here’s my Strawberry Buttercream Frosting recipe. I can’t wait to hear how you love it. 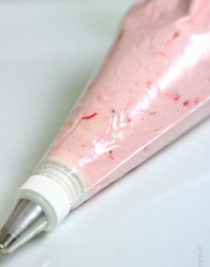 Strawberry Buttercream Frosting is perfect for frosting cakes, cupcakes, and other baked goods. Get this family-favorite Strawberry Buttercream Frosting recipe for perfect fresh strawberry buttercream flavor! Cream together butter and ½ cup of confectioner’s sugar at a time. After each cup of sugar has been added, add strawberry syrup 1 tablespoon at a time, then add vanilla and then beat on high for about 20 seconds to lighten the frosting. This is my new favorite frosting! i love love love it! I just made this to fill a chocolate cake with, I used 6 tbls of strawberry syrup and no cream/milk because with just 4tbls it didn’t seem to have enough strawberry flavor. I whipped it a while and got a good fluffy consistancy. Thanks!! I just have to say, this is the best frosting I have ever found. I have been continually searching and trying new frostings every time I make a cake and I finally found a keeper!!! THIS IS AMAZING–Thankyou for sharing it so very much. It is very light- like a whipped cream frosting and it isn’t sickeningly sweet…I actually found myself licking the bowl! I have hated buttercreams because they just taste like powdered sugar to me but this is excellent…I don’t think I will ever find one I like as much that is this easy. i have a request to make a fondant cake, but they would a strwbwrry frosting. Would this be ok to use under fondant? I think it would work perfectly and sounds delicious! I will be making a three tiered white cake and plan on decorating it with rosettes. Does anyone know if this frosting will hold their shape? 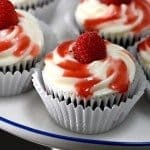 What about cream cheese frosting (most recipes I’ve seen do include some butter)? I’ve never made rosettes before and plan to use a 1m star tip. Any tips or advice would be greatly appreciated as I don’t have the time for a “test run.” Happy baking! It would be 226 grams in 1 cup of butter. Just made this frosting. It is delicious. We enjoyed it on our cupcakes. Hi. This recipe looks yummy. Can we use this icing for fondant? Anxious to try this – looks so good!!! Which piping tip did you use on the cookie in above photo? HI, does this have any fruit strawberry’ sin the icing or is it syrup only? Where did you buy the syrup? Has anyone tried folding chopped strawberries into the frosting for the middle layer? I wondering if the berries would lose moisture and it would be a runny disaster. Thanks! 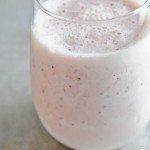 Try using freeze dried strawberries. Many grocery stores carry them nowadays. I personally love the one from Trader Joes. Grind them up a bit first( I throw 2 packets worth in my blend and blend until they form a powder consistency.) If you have the time, press through a small strainer to get rid of the seeds. Add to frosting once you have creamed the butter. I slice strawberries, then add a bit of sugar to make syrup. Let this set for several minutes. 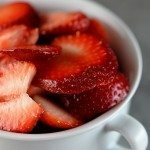 Stir the strawberries a few times, while you wait for juice, to better incorporate the sugar. Then lightly mash the strawberries. I use the juice from the berries and the mashed strawberries as the liquid for my icing. Refridgerate after cake is iced! I use fresh strawberries on the top, before serving, for a beautiful garnish! Are you sure it’s tablespoons and not Teaspoons? Tried this recipe and as soon as i put the Vanilla in, the texture completely changed and it gave it a very runny and ugly appearance. I started over using Teaspoons instead like the Vanilla buttercream and no matter how much powdered sugar i put all i could taste was the butter. The buttercream did however look soooo much better, thicker, and had a better taste than the first try. I was wondering if I could use salted butter and skip the pinch of salt? I’m thinking it could work but I’m also worried it will be a tad too salty. Any thoughts? Unsalted butter is more pure than salted butter mashing butter cream frosting more white than using salted butter. If you use salted butter your icing will have a hint of yellow and any color you add to it will make it have a yellow hue. For example with salted butter if you add red it will have a slightly orange-ish color to it because red and yellow make orange. Does this pipe well on cupcakes ? If I use this buttercream frosting in my layer cake and under fondant, how long will it last unrefrigerated? I plan to make cake the night before our daughter’s birthday party but have read it’s best to not put fondant cakes in the fridge but I’m concerned about the buttercream souring. What do you recommend? Thank you. Toni. PS the buttercream sounds so good. I am planning to use it with chocolate mud cake. Chocolate and strawberries, yum! Would this recipe make enough for 2 of your strawberry cakes? I’m not sure that it would be enough for two of these cakes. Thanks! Please, I am planning to use this for my granddaughters cake, could you tell me once made and in the cake will it last. Made this to frost white cupcakes. Delicious! I like how it is not overly sweet and the strawberry flavor is not over-powering. It piped well and frosted 20 cupcakes (I go pretty heavy on frosting). Can you substitute with strawberry seedless jam? I’ve not tried jam instead of the strawberries in the recipe. I hope you enjoy the frosting, Liz. Thanks!